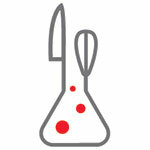 Hear about the latest news from the Research Chefs Association. RCA is committed to helping those affected by natural disasters. We’re teaming up with Chef Michael Morrison and The Salvation Army to ask for donations of shelf stable, refrigerated or frozen foods for those impacted by Hurricane Michael. Your support can make a difference to more than 700,000 people across the affected areas. If you are able to help, please contact Chef Michael Morrison via email or directly on his cell phone at (561) 252-2704. 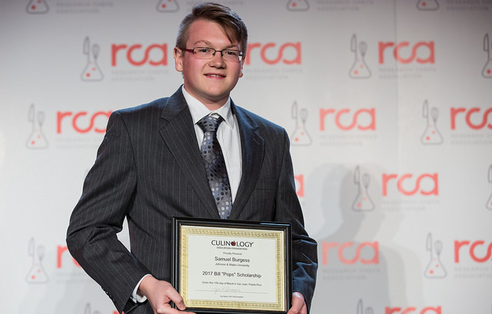 RCA students are the future of the food product development industry, and the Culinology® Education Foundation helps students succeed. 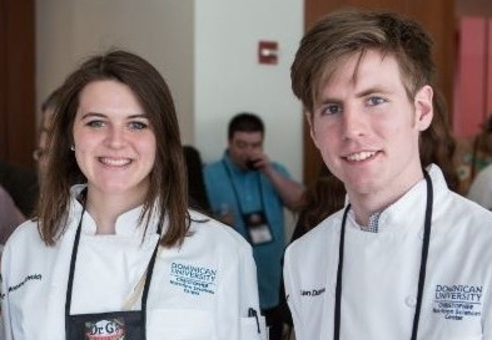 If you are a student pursuing a higher learning opportunity in Culinology® in need of financial assistance, this is your opportunity to get the support you need by applying for a scholarship today. Apply by October 31, 2018. Pass down your professional knowledge, experience and advice to emerging food industry professionals by becoming an RCA Professional Advisor. The RCA Professional Advisory Program matches RCA student members with RCA professionals who will help students transition into the industry by providing education, leadership development skills and professional guidance. Applications are due by October 24, 2018. 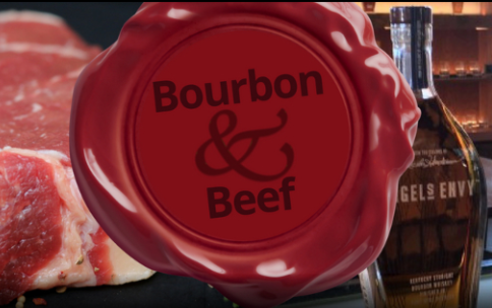 Quench your thirst and satisfy your hunger during RCA's Bourbon & Beef Pre-Conference Program at Angel's Envy Distillery. Attendees will explore the subtleties of cooking beef with bourbon from Beef Checkoff experts, take a tour of the Angel's Envy Distillery and participate in a bourbon and chocolate pairing. You will also receive four continuing education (CE) credits towards certification renewal. 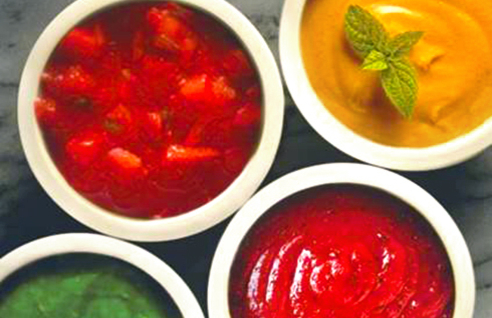 How can custom sauces help you lock in a stronger competitive edge with greater taste, less cost and more efficiency? Learn the many ways Paradise custom sauce capabilities can benefit your business. Giving back to the community comes naturally to RCA members. In March, the RCA New England Region helped to provide 14,426 meals through their work and generous donations! Join the RCA New England Region at the Greater Boston Food Bank (GBFB) on November 10 from 1:00 p.m. - 3:30 p.m. ET to help inspect, sort and repack donated food and grocery products in the GBFB warehouse. "It is a great time to be in the protein business. Meat consumption is at an all-time high. In fact, the U.S. Department of Agriculture (USDA) predicts Americans will eat a record amount of poultry and other types of meat this year — on average 222.2 pounds per person. That will surpass the record previously set in 2004. 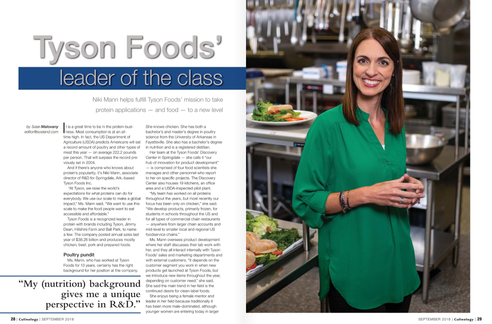 And if there’s anyone who knows about protein’s popularity, it’s Niki Mann, associate director of R&D for Springdale, Ark.-based Tyson Foods Inc."
Read more about Niki in the September issue of Culinology® magazine.